Page 31 from ‘Lost and Found’ by Oliver Jeffers. 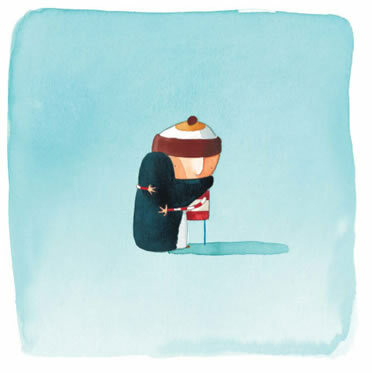 These beautiful prints by author and illustrator Oliver Jeffers had me floored. Equally enchanting and evocative, they remind of reading The Little Prince for the first time and bawling my eyes out. More prints and information about Oliver under the cut. 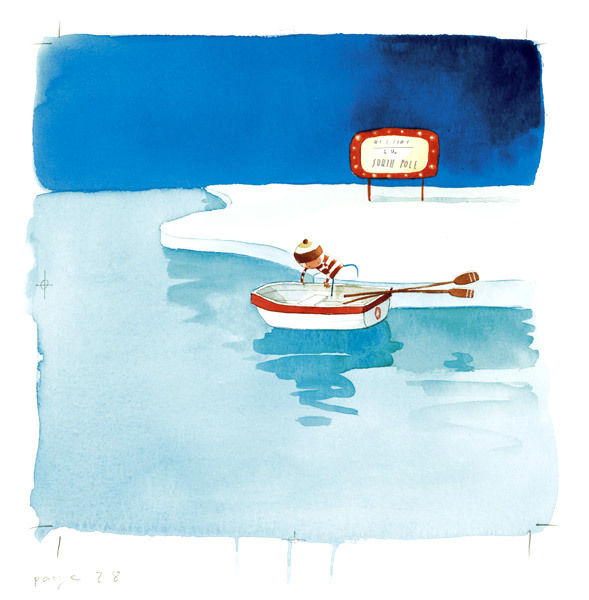 Page 20-21 from ‘How to Catch a Star’ by Oliver Jeffers. From figurative painting and installation to illustration and picture-book making, his work has been exhibited in New York, Dublin, London, Sydney, Washington DC, Belfast and elsewhere. A co-founder of the art collective OAR, their exhibitions include 9 days in Belfast, book and the award winning BUILDING. Illustration clients include Orange UK, Lavazza, Sony PSP, RCA Records, Starbucks, Candy, the Vacuum and Her Royal Majesty the Queen of England. HarperCollins UK and Penguin USA publish his picture books, including the award-winning Lost and Found and The Incredible Book Eating Boy. 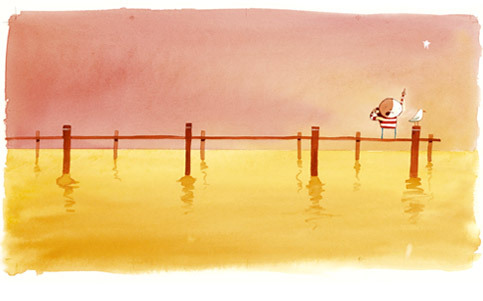 Page 28 from ‘Lost and Found’ by Oliver Jeffers. There has always been a strong undercurrent of narrative behind Jeffers’s work, but his current interest in making art lies in the anomaly between logical and emotional thinking. While striving to find a harmonious balance between form and content, Jeffers is curious about the opposing means by which the world he lives in can be assessed. To explore this he has been drawing parallels between the arts and sciences, as in his recent solo show, Additional Information (exhibited December 2006, in Hill St Belfast), in which figurative oil paintings were over laid with mathematical equations.